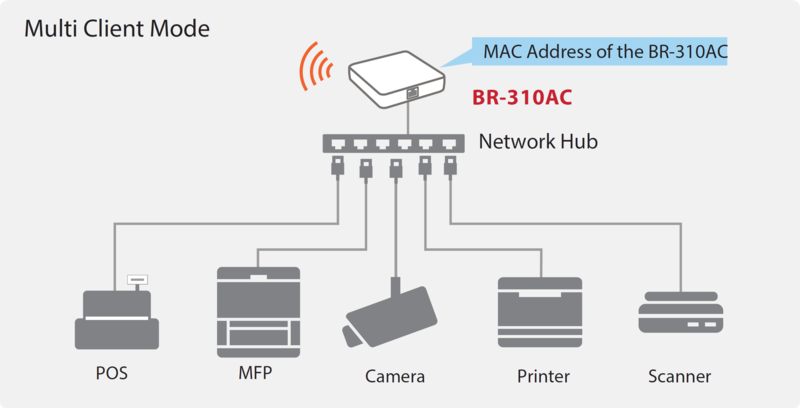 The BR-310AC allows any Ethernet enabled device to join a secure, high-speed network. It is software transparent meaning no changes to drivers, management tools, or applications are needed. It allows the flexibility to locate Ethernet devices in places where running cables is difficult or impossible. It supports industry leading security including WPA, WPA2, plus 802.1x authentication with the most commonly used EAP types. 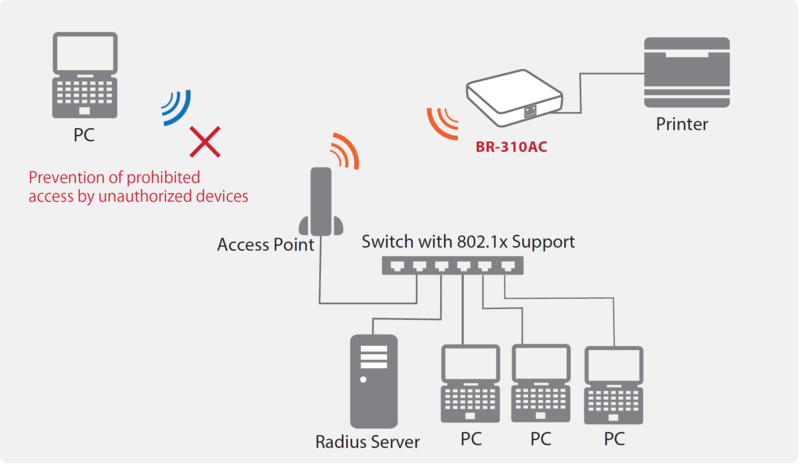 The Silex BR-310AC is a high-performance wireless network adapter which enables any Ethernet device to become an 802.11a/b/g/n/ac dual band wireless network device, giving you freedom to place it anywhere in your facility. 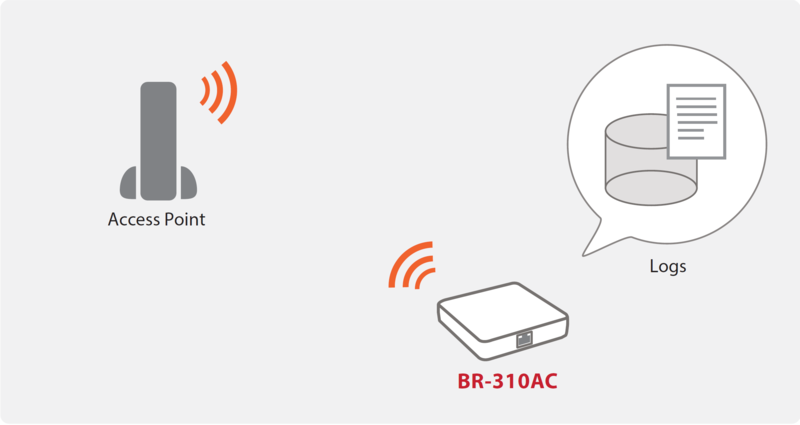 BR-310AC is designed to communicate in the 2.4 GHz and 5 GHz bands. Radio interference in the commonly used 2.4 GHz band can be avoided by utilizing 5 GHz. Higher performance speeds can be achieved by operating in 802.11ac mode leveraging the 3x3 MIMO radio to reach 1.3Gbps theiretical maximum rate. 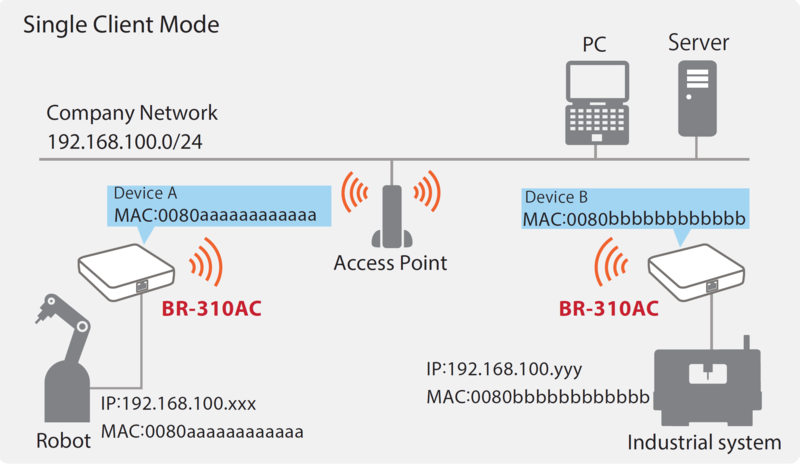 Uses the MAC address of the BR-310AC for wireless LAN communications. The BR-310AC has built-in storage for recording operating logs. User can record and log device behavior and data exchange with networks. If performance degradation or interference occurs due to changes in the wireless environment, these logs can be quickly analyzed to determine the root cause and make improvements. AMC Manager is an integrated device management software intended for the networking products. With the software, network administrators easily can configure, manage, and monitor Silex products connected to a wired or wireless network remotely. 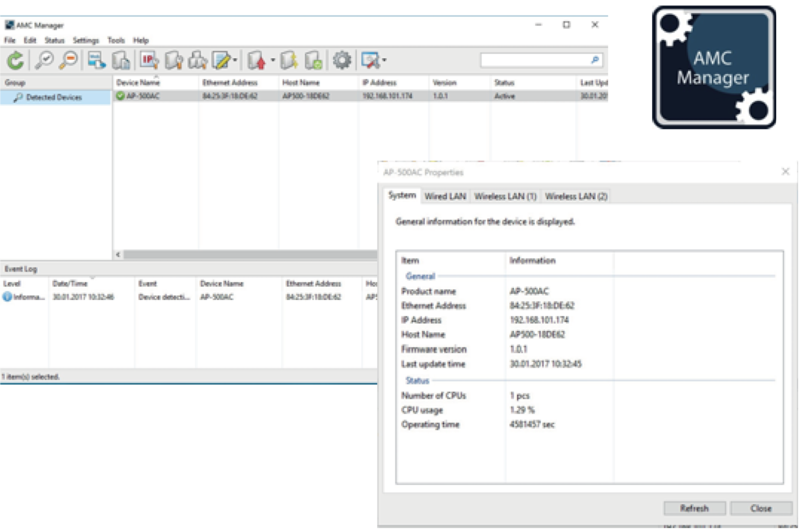 AMC Manager monitors status and provides the ability to perform configuration changes, firmware updates, and device rebooting of any number of Silex networking products remotely at once.